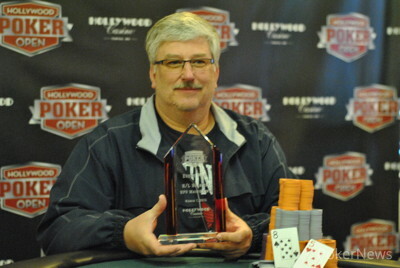 Donald McArthur Wins Hollywood Poker Open Tunica Regional Main Event ($17,100)! 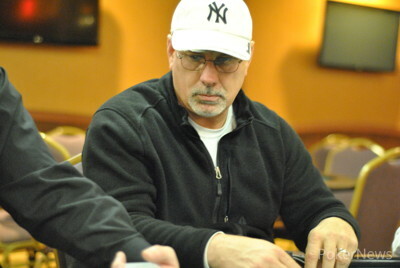 Donald McArthur came into Day 2 of Hollywood Poker Open Tunica Regional Main Event as the big chip leader with 370,000, nearly double second-place Mark Kehrees. He put that stack to good use, making short work of his remaining competitors to wrap up the tournament in less than three hours. For his win, McArthur claimed $17,100 in prize money and a voucher worth a $2,500 seat in the HPO season finale in Las Vegas this summer. McArthur, a postal worker, said the win ends years of final table frustrations. "I've come down here and made a bunch of final tables," said McArthur, who came in with just $1,571 in recorded tournament cashes. "One time, I had more chips than the other nine combined, and I was still the first one out." This time, luck seemed to be in his favor, right from the first elimination as action folded to him in the small blind, giving him the pot and the last of Chris Trotter's blinded-off stack. Sadly, Trotter left on Day 1 with a massive stack after experiencing health issues, ultimately blinding off in sixth place on the money bubble. Nancy Regan bowed out shortly thereafter in fifth when she put in her last thee big blinds with and was unable to improve against Scott Mauer's . McArthur held about half of the chips in play four handed, but had slipped down a bit when a key pot unfolded between he and Mauer. A limped pot and three flop checks led to a board on fourth street, which is when Kehrees bet out the minimum of 4,000 from the small blind. Mauer made it 14,000, and McArthur cold-called, while Kehrees folded. Mauer bet 26,000 more on the river, and McArthur shoved for about 85,000 more. Mauer quickly called with for a straight, but it was no good as McArthur held for tens full. McArthur then picked up kings on the button and called Kehrees' three-bet shove, holding against the . The kings held, and that set up a heads-up match with James McCauley, who had about 170,000 to McArthur's 730,000 as the blinds moved up to 2,500/5,000/500. Twenty minutes later, it was all over, as McCauley jammed his last 54,000 with , and McArthur called with . Live cards improved to a straight draw as hit the flop, and there was no stopping McArthur today as he binked the for a winning straight on the turn. McCauley took home $11,250. "I was hitting everything today," McArthur said with a smile. "It made up for all those other final tables." Next up for the HPO will be a stop in Grantville, Pennsylvania, starting March 26 and running through April 5. The PokerNews Live Reporting team will be there for the Regional Main Event April 4-5, and we hope to see you there. For complete schedule information on that event, please click here. James McCauley pushed all in from the button, and Donald McArthur called. A flop of meant McArthur picked up a straight draw, and his hot run continued as he turned McCauley dead with a for a straight. The was the meaningless river. Donald McArthur has taken down a series of small and medium pots, showing James McCauley a pair or better every time he folds. It could all be over soon. 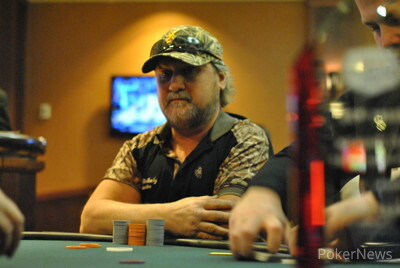 Donald McArthur made it 26,000 to go preflop, and James McCauley called. Both checked the flop, and a hit the turn. McCauley check-called 30,000, and both checked the . McArthur held for ace-high, but McCauley had flatted a monster and showed down . Players are on break for 15 minutes. Donald McArthur opened to 24,000 on the button, and Mark Kehrees shoved for about 120,000 only to get snap-called. Kehrees was in a bad spot, and the didn't help. "Not my day," he said. "Club to make it interesting." That's exactly what happened as a fell, but the river was a brick, and McArthur has a commanding lead heads up. Foxwoods Resort Casino, the largest resort casino in North America, is hosting the annual Foxwoods Poker Classic from March 14-30. The two-week tournament will attract top fields of both professional and amateur poker players, so you don't want to miss out! 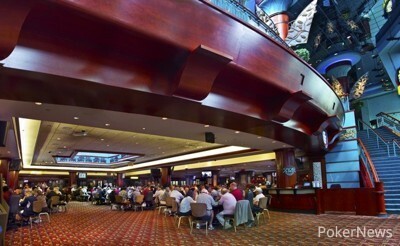 Held in the largest poker room on the East Coast and spanning 17 days, this 21-event series will be highlighted by a $600 No-Limit Hold’em event, which will feature a $500,000 guarantee; and a $2,700 No-Limit Hold’em Main Event, which will also feature a $500,000 guarantee. Last year’s Foxwoods Poker Classic had a total of 4,458 entries and paid out over $2.1 million in prize money, with the Main Event drawing 226 entries and a prize pool of over $548,000. This year, Foxwoods added several increased guarantees to their events, totaling $1,600,000. Foxwoods Poker Room boasts close to 100 tables in the sprawling main room featuring a variety of live-action games that are spread around the clock. An additional 60 tournament tables are located in a separate tournament room offering weekly no-limit hold’em events with total payouts over $200,000 and guarantees totaling over $70,000. Foxwoods is also associated with the World Series of Poker and will host a WSOP Circuit event beginning May 13-24, so mark your calendar. In addition, Foxwoods will also offer satellites for the WSOP Main Event from June 1-14. For more information and results from the Foxwoods Poker Classic, as well as other poker events happening at Foxwoods Resort Casino, visit www.foxwoods.com, like Foxwoods on Facebook, and follow Foxwoods on Twitter. Lewis Goes "Zero to 100"
Donald McArthur (left) and James McCauley play heads up.